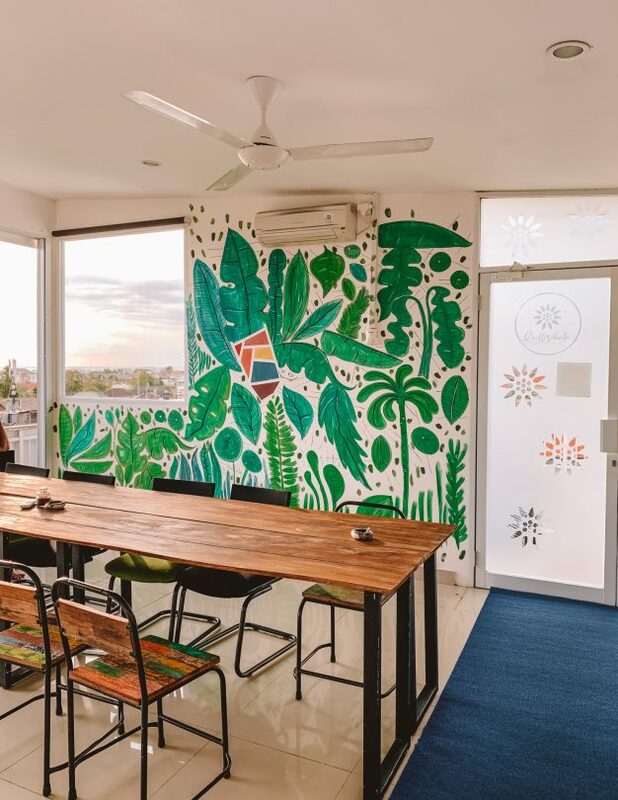 Canggu in Bali is one of the top locations worldwide to work as a digital nomad. 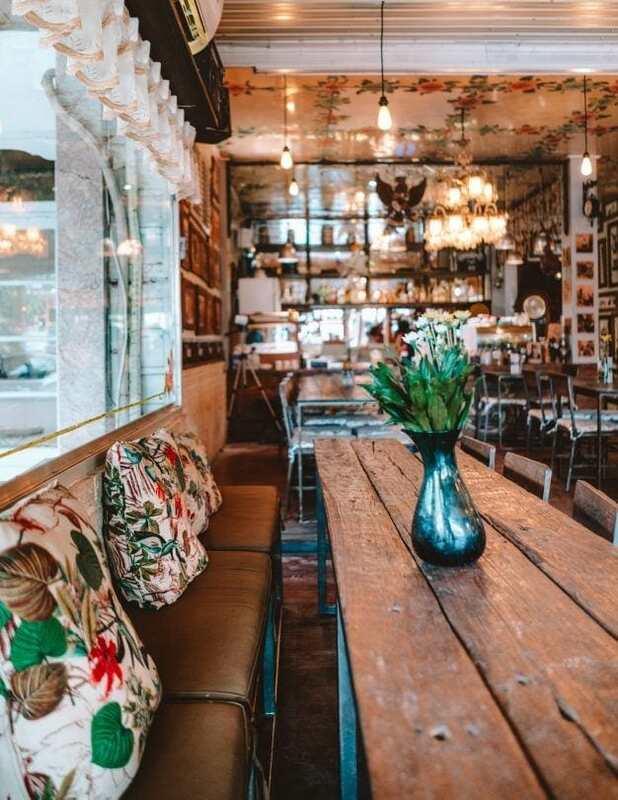 Affordable accommodation, every kind of food, and some of the best cafes to work. 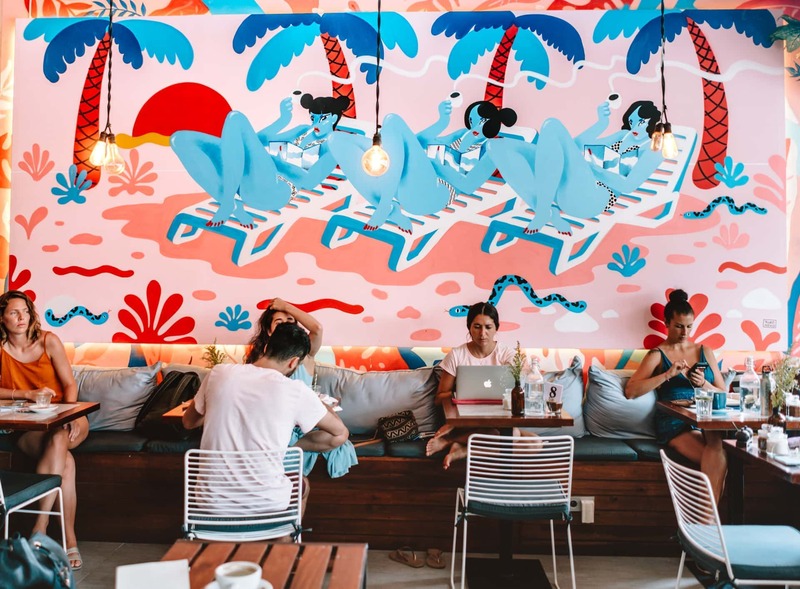 After living in Canggu for over four months, we found it time to write down our favorite working spots rated by WiFi speed, coffee, seat options and much more. 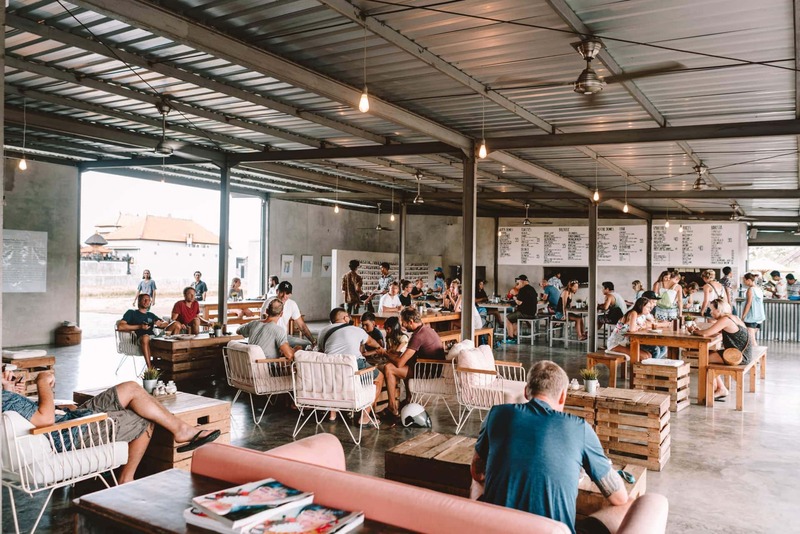 This is the list of best cafes to work in Canggu. 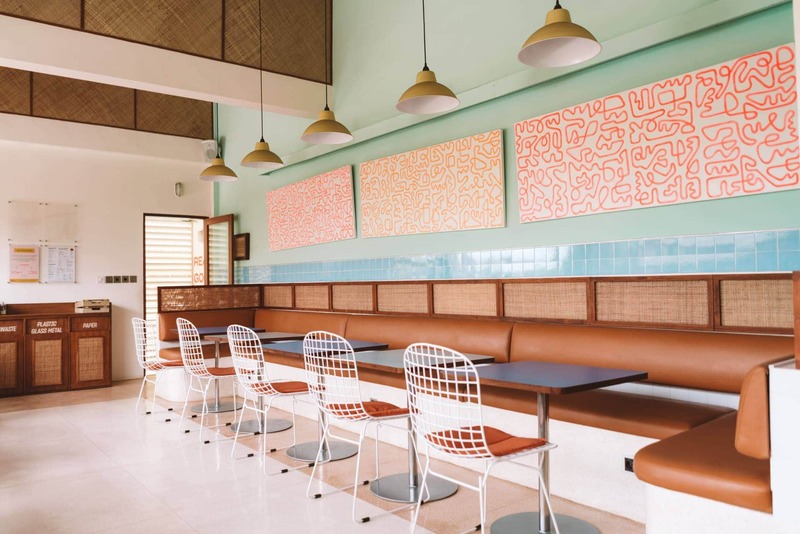 Crate Cafe in Batu Bolong is for those who love the quiet cooler mornings. 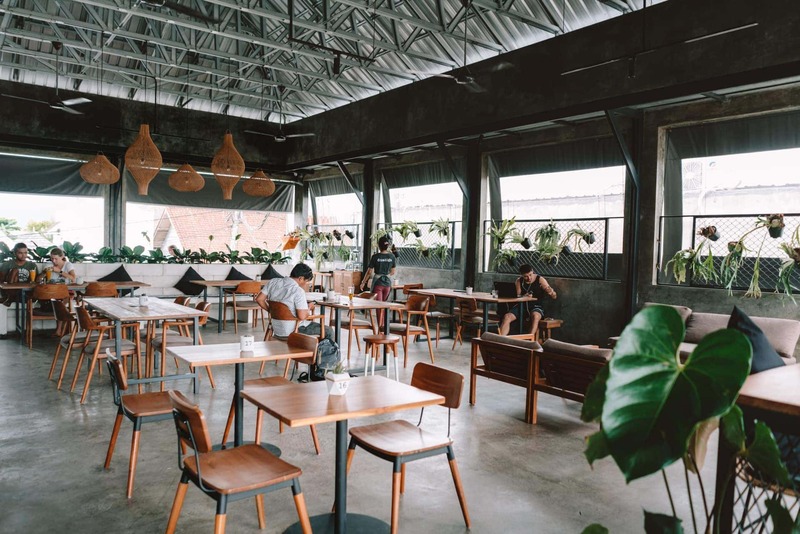 Breakfast at Crate Cafe starts at 6 AM, spend the first two hours of the day on your laptop at this spacious cafe to work in Canggu. 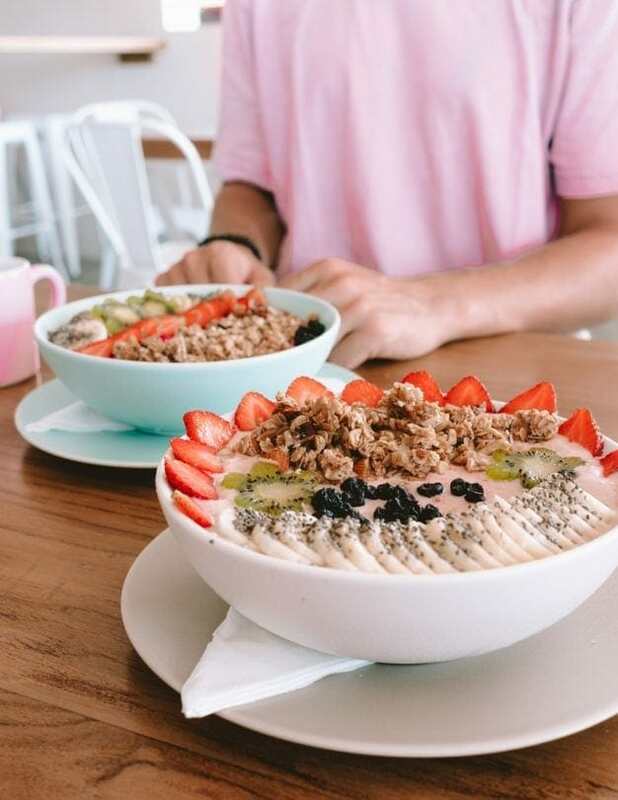 Crate Cafe has some of the best breakfast deals! A bit hidden and not so obvious cafe to work in Canggu but the Plant Cartel near Old Mens Beach checks most of the requirements. It isn’t really a cafe, Plant Cartel is vegan fast food and has superb wifi and seats upstairs. 索 Lunch: Depends if you like fast food. Our absolute favorite cafe to start our work is by having breakfast and delicious coffee at Coffee&Oven. 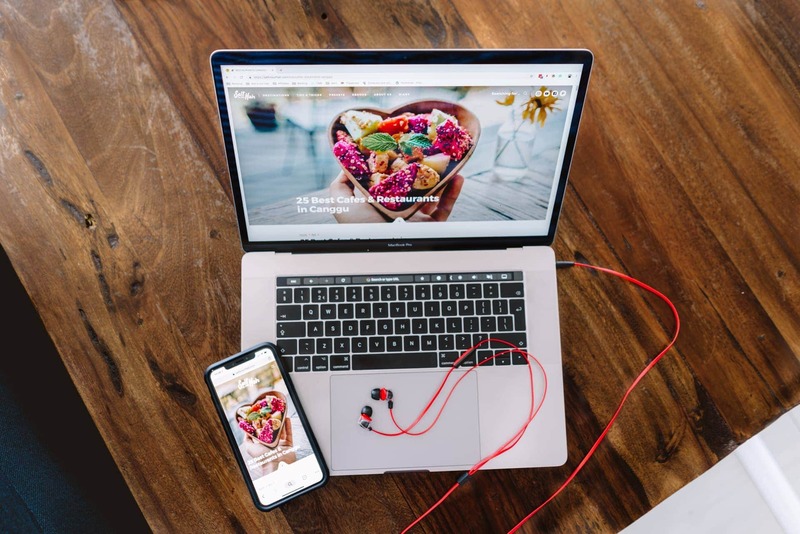 For a steady up and download speed, head over to I Am Vegan Babe. A vegan place with one of the best long black coffees we had. The only downside, there are no AC’s upstairs. ☕ Coffee: Great long black! 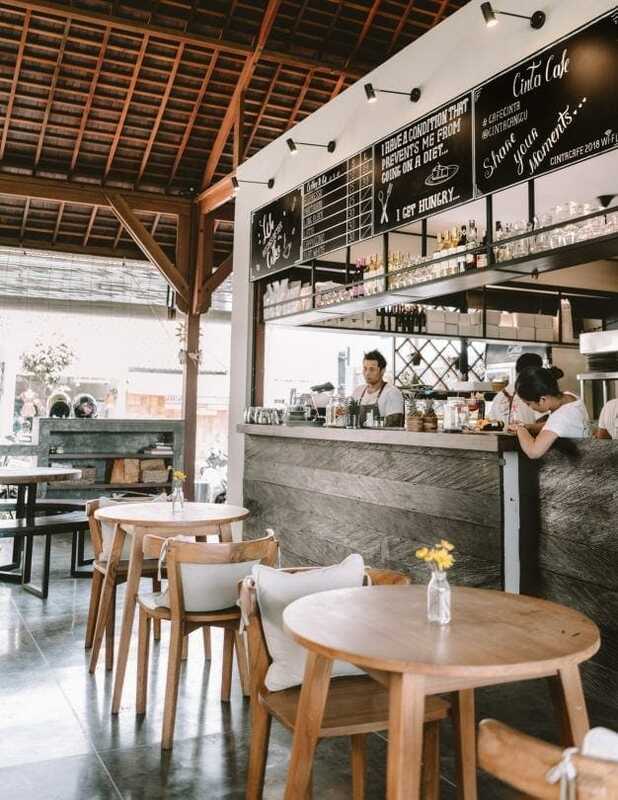 Cinta is not really equipped to be a cafe to work in Canggu. 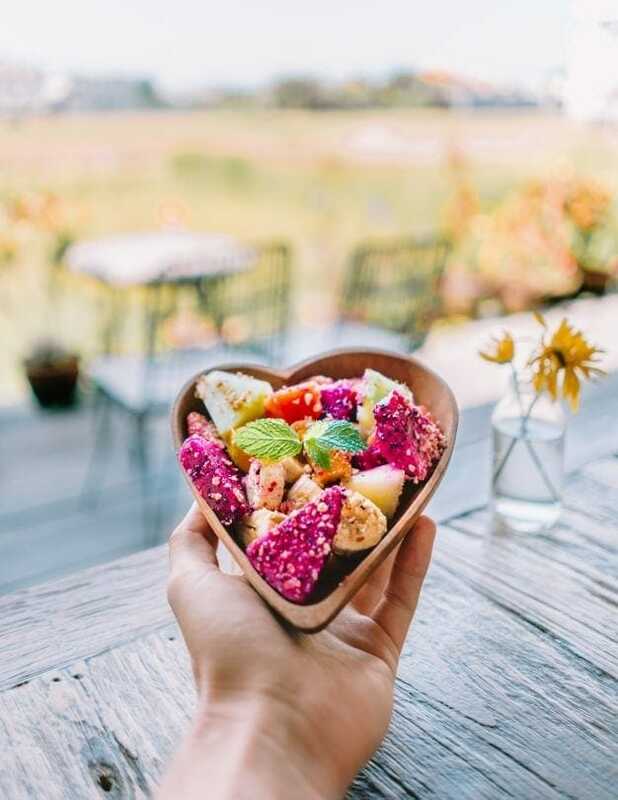 However, they serve delicious lunch and dinner, fantastic coffee, a view over the rice fields and have great internet speed. 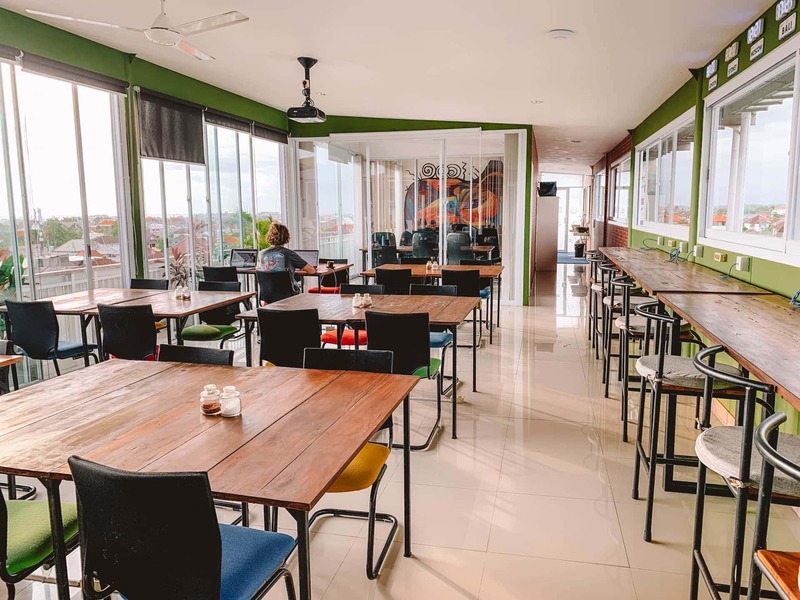 On top of the Matra Co-Working building is a cafe with great seats and a lot of power plugs. They offer two air conditioned rooms with comfy desk chairs. 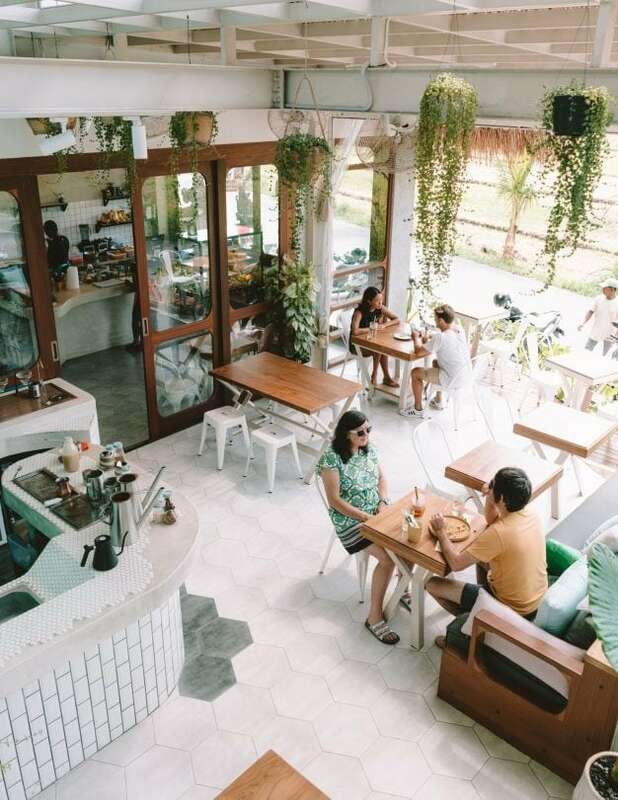 The coffee and food was unfortunately not as good, however, this was our overall favorite cafe to work in Canggu. 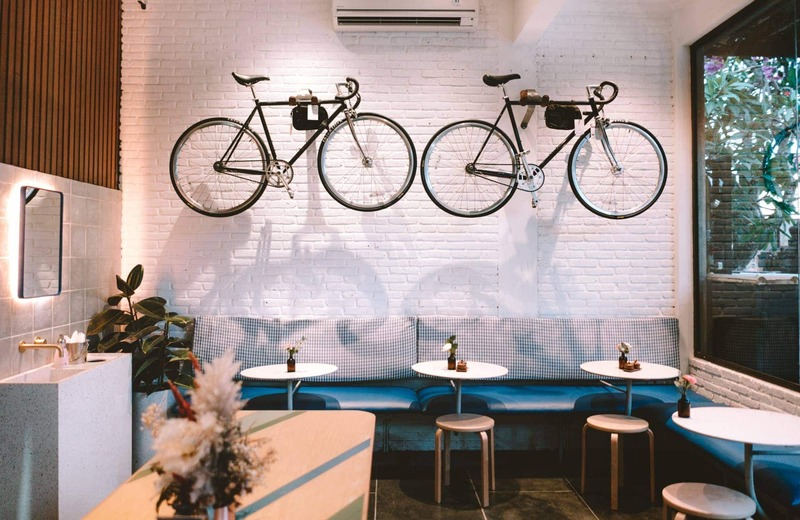 Peleton Supershop is a famous, in other words, mostly occupied, vegan place in Canggu. It offers loads of seats in an airconditioned room. 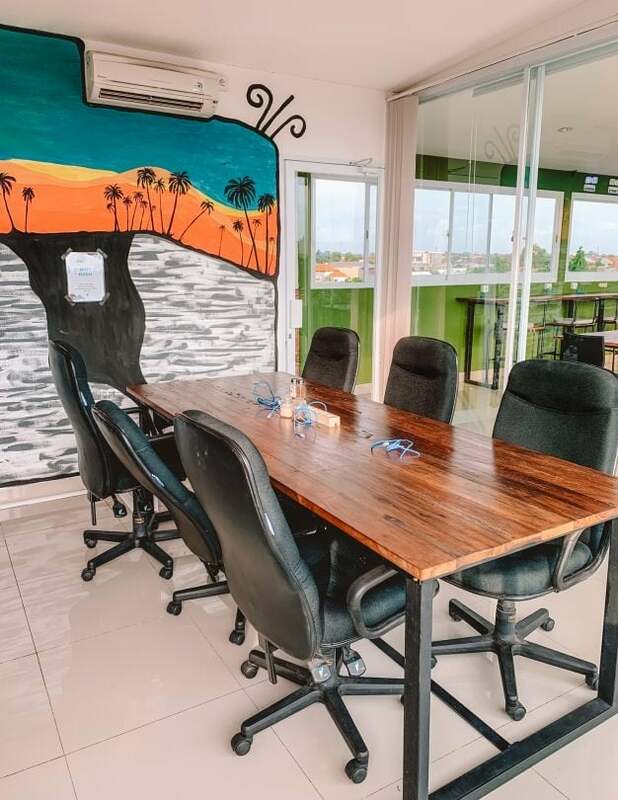 To be sure you have a seat, you should go to DuaTiga in Berewa. Their open-air top floor offers many seats including power plugs. 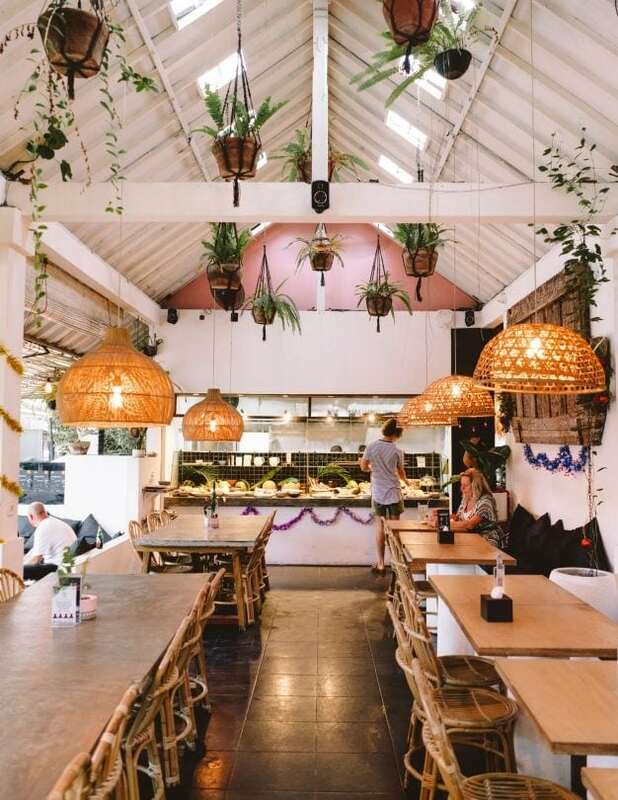 ➳ Also find out about the best cafes to work in Chiang Mai, Thailand. 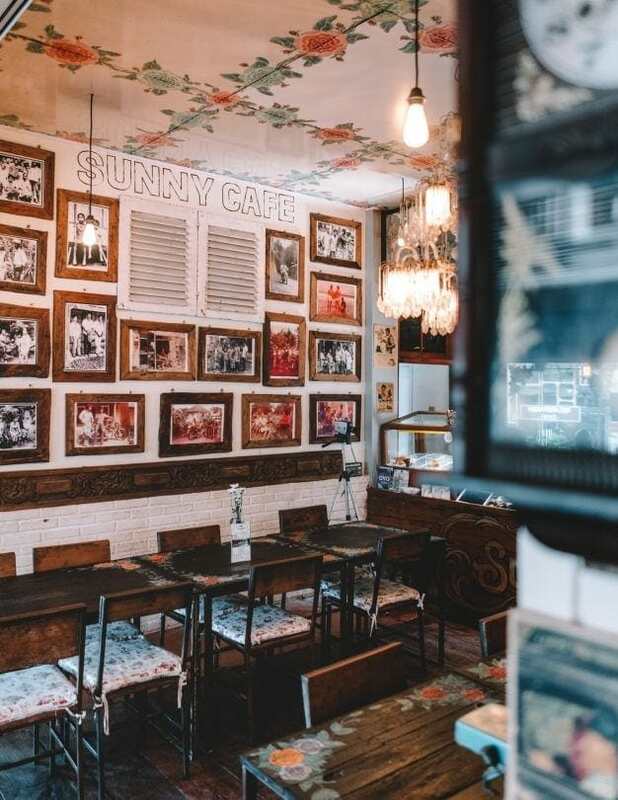 Step into a living room at Sunny Cafe in Berewa. Sunny Cafe is a great cafe to have lunch and get work done at the same time. The entire place is airconditioned. Lupe is a relatively small buffet style cafe in Berewa. 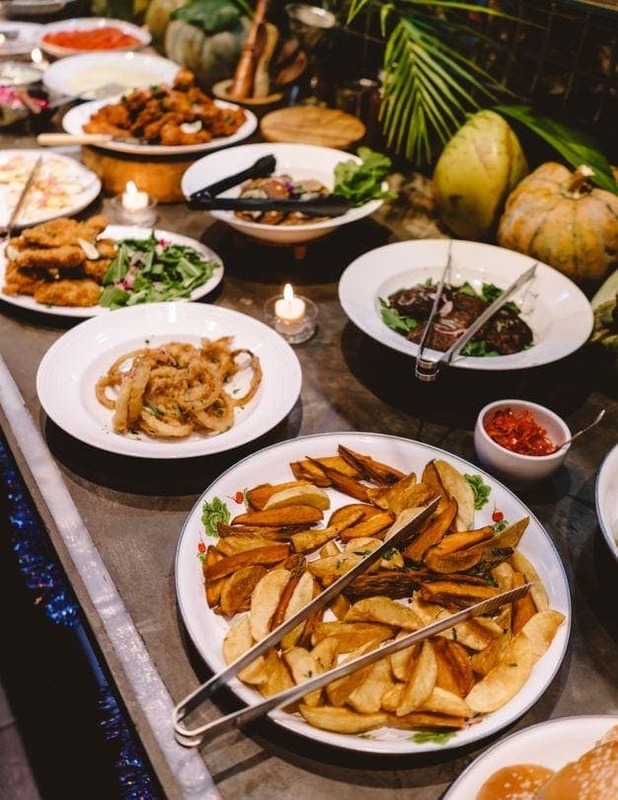 Breakfasts are good but you really have to be there at lunch or dinner time for there daily themed buffet. They offer some good seats but all outside which means; No AC. Small, one of the best internet speeds in the area. Ruko Cafe has incredible food, good coffee and good seats to spend a few hours on your computer to work in Canggu.